Boxes of wine can be shipped throughout France. Free shipping is granted for an order of at least 36 bottles ( or more) ! 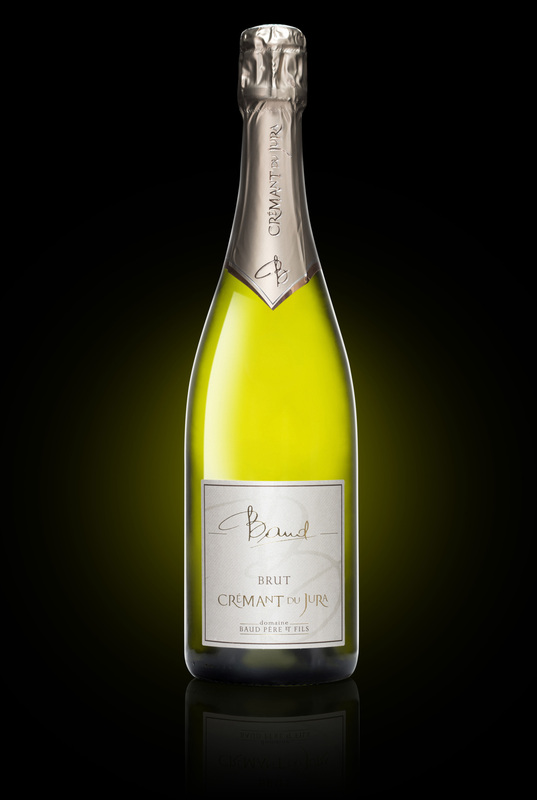 Sparkling wines "Crémants du Jura"
The Jura region has had a great experience in the field of sparking wines for two centuries as our ancestors were already producing qualitative sparking wines using the “champenoise method” until 1994, when this appellation became forbidden. Since 1995 this product has been recognized under the A.O.C Crémant du Jura. 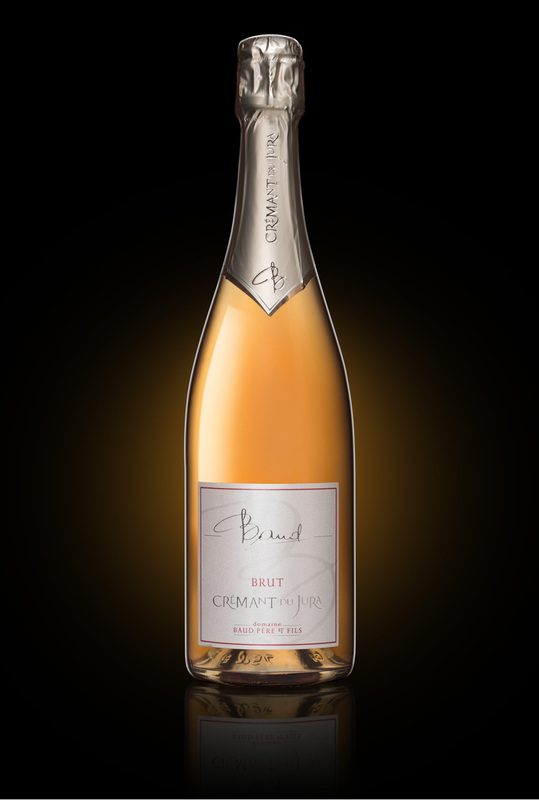 This Crémant « Brut Sauvage » is our high quality Sparking wine that invites celebration!With friends or family, it deserves to be shared. Its thin and sophisticated bubbles, will seduce all your guests. Enjoy our unsual fruity red wines. You can drink them young with divers kind of meet ( carpaccio, beef tartare, dried meet…)… Apearance can be misleading : light-colored but full bodied wines! Ce rosé, élaboré en pressurage directe, est fait à partir de poulsard et de Pinot Noir. Très aromatique, sur la fraîcheur, il accompagnera parfaitement vos soirées d'été. 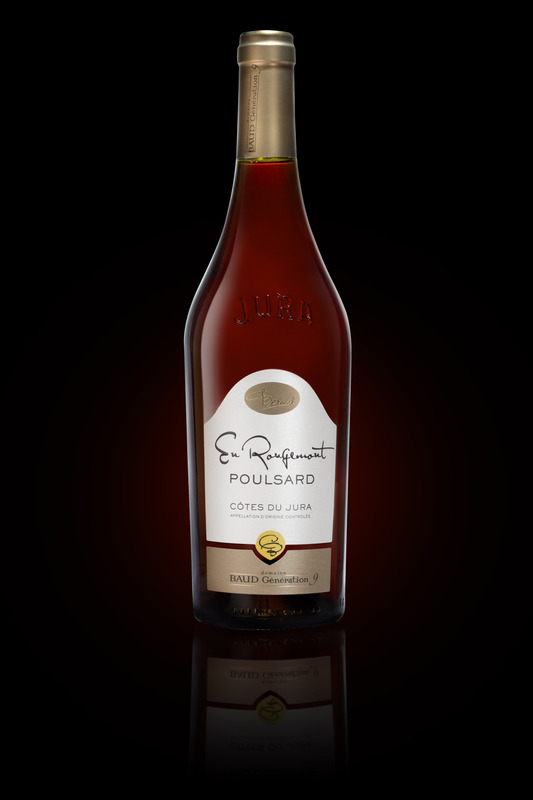 Poulsard is a typical grape variety from the Jura region which is grown on grey and bleu marl. Its oblong berries are extremely juicy and delicate as well as the skin which is very thin and releases few tannins. This wine has a claret colour with orange hues. It is a blend of typical grapes varieties from this region, 30% of Pinot Noir and 70% of Trousseau that both grow on the red marl and rich gravel soils. Demanding, by virtue of its nature, the trousseau is the rarest grape variety of the Jura region. Typical grape variety from this region, the Trousseau grows on the red marl and rich gravel soils. 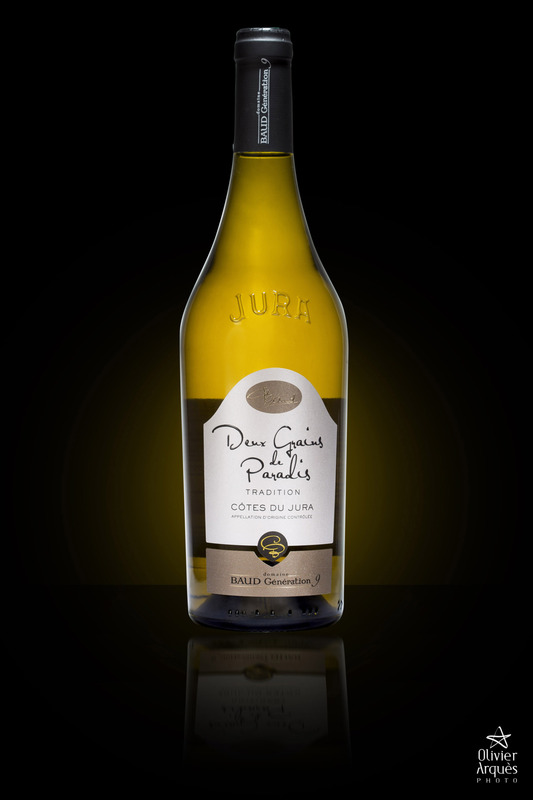 Demanding, by virtue of its nature, the trousseau is the rarest grape variety of the Jura region. Discover the full diversity of our range through fresh and floral wines, but also powerful wines, wines of atypical caractere that you will only find in Jura thanks to our terroir as well as our ancestral know how! These wines have excellent aging potentials (from 10 to 50 years). This wine is made of Chardonnay which is cultivated on our marly-calcareous soils. This fruity, floral and topped up Chardonnay is a vital step in the Jurassian wines discovery process. This Chardonnay embodies a complex wine though its oak-ageing. Silky and full-bodied, it expresses all the strength of our soil! Close your eyes and enjoy the power of its aromas. Who can tell this chardonnay comes from Jura? The appellation « L'Etoile » allows us to produce exclusively white wines, that are characterized by their minerality and delicacy. Our estate runs 2,5 hectares under this appellation with 90% of chardonnay. 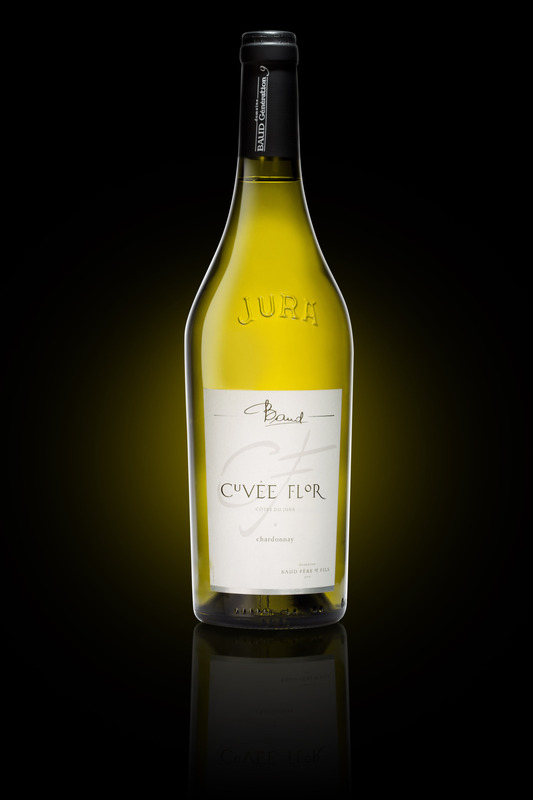 The Cuvée tradition is a very nice way to enjoy Jura wines especially their powerful tastes, when blended with chardonnay, that allows the wine to be well-balanced with a great roundness. Savagnin is the jewel of our winery. 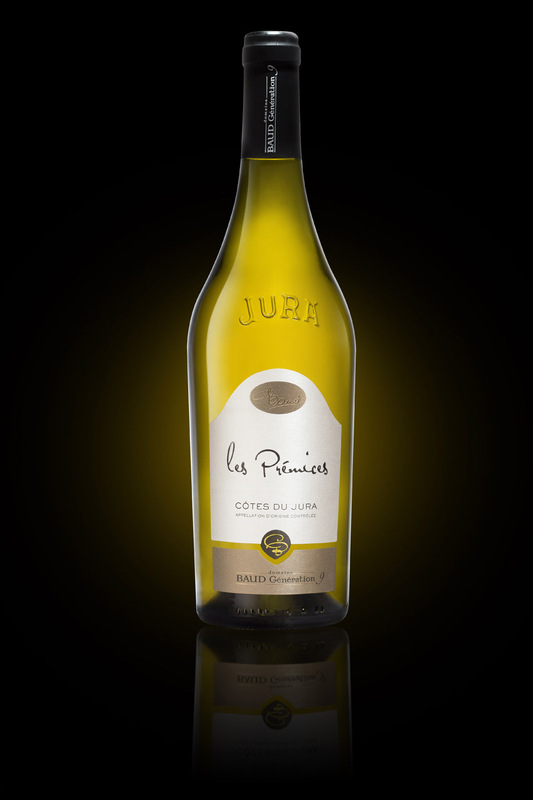 This grape variety is only cultivated in the Jura region. Its maximum expression comes from grey and blue marls. These thick and hard skinned grapes are the last to be harvested. 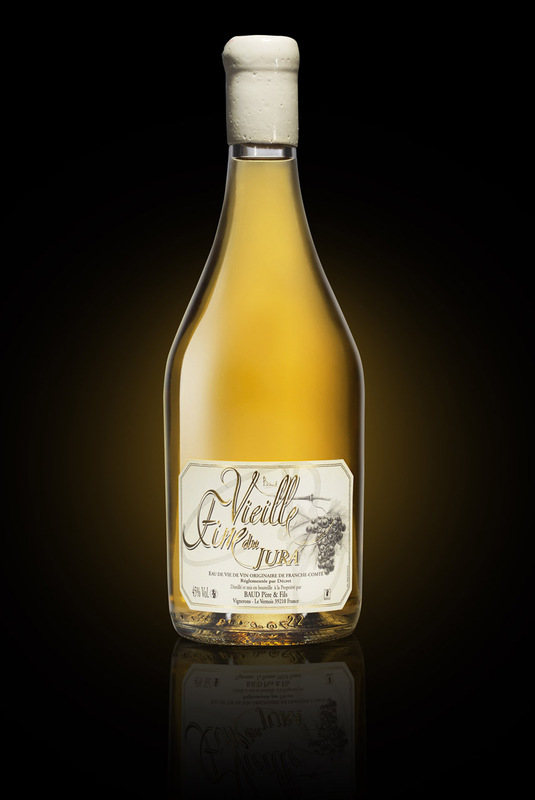 Its rich sugar and acidity contents are substantial, since it is vinified and aged unusually. Wines that benefit from the ancestral know-how as they represent our beautiful wine region, especially yellow and straw wines. Savagnin is the unique grape variety and jewel in our winery. Its maximum expression comes from our blue and grey marls. 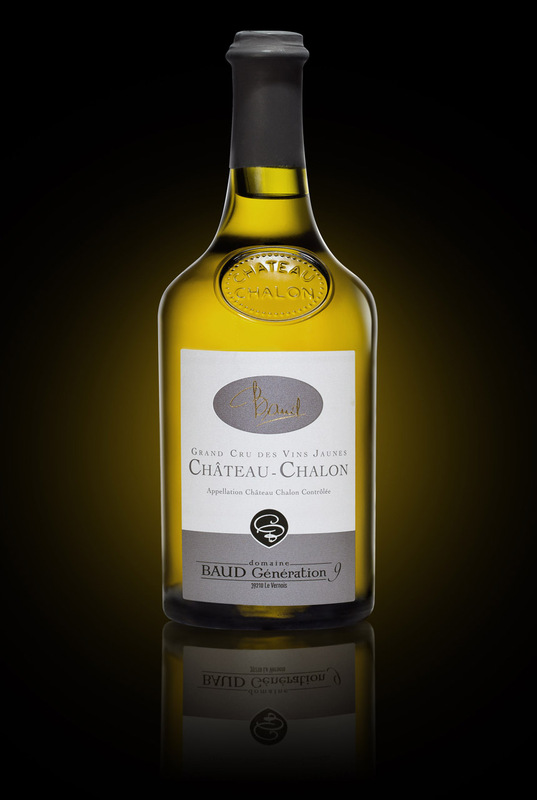 The AOC Château-Chalon is spread over only 53 Ha, but produces in extraordinary wines: The Vin Jaune (Yellow Wine) Château-Chalon is the Great Beverage among the kings of wines. Savagnin is the unique grape variety and jewel in our winery. Its maximum expression comes from our blue and grey marls. 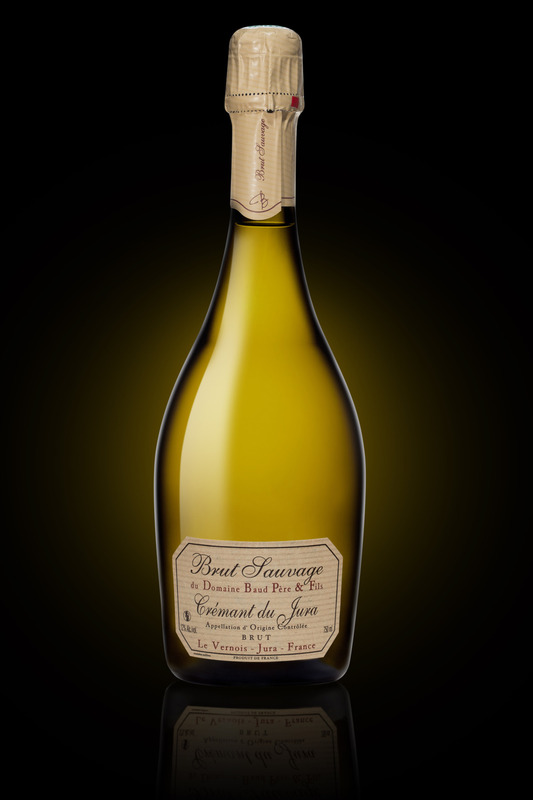 So as to produce a Vin Jaune, the savagnin needs to be aged for a minimum of 6 years ans three months into oak barrel. 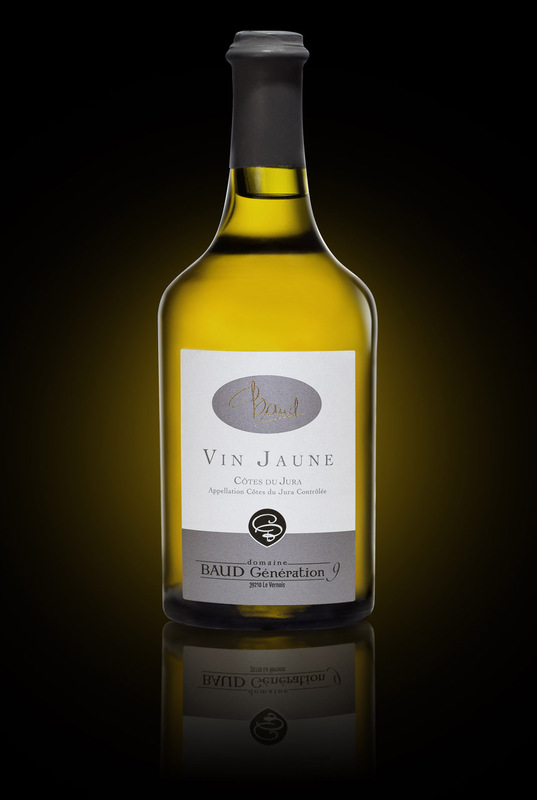 Internationally know for its aromatic bouquet, the Vin jaune is one of the main ingredient used into gastronomic courses. 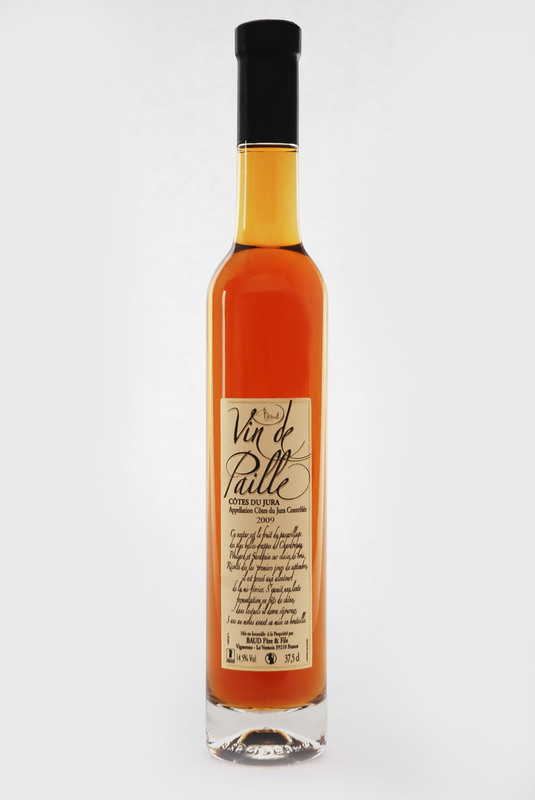 Vin de Paille is made of grapes that were dried on wattles or straw. This nectar which is generally used for celebrations should be enjoyed without moderation. 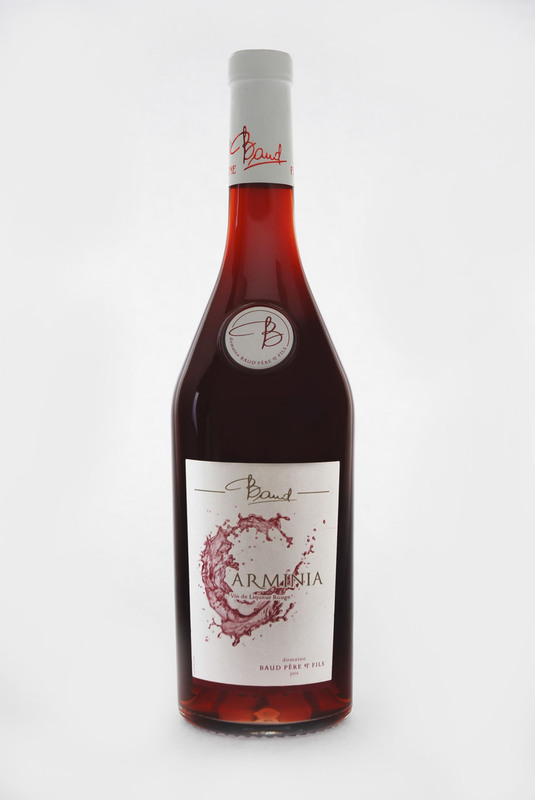 The liquor wine Carminia is made of grape juice and Vieille Fine du Jura. This is a fruity and generous wine expressing crunchy mellow and sour cherry flavour through the Vieille Fine. Let yourself be seduced by its attraction with just some pieces of dark bitter chocolate. Vinifié à la méthode traditionnelle champenoise, nous avons décidé de moderniser notre gamme en incorporant à notre Crémant Rosé, du sirop de fleur de Sureau Vedrenne pour en faire un mousseux original et rafraîchissant pour agrémenter nos belles soirées d’été! This old traditional product has been known since the XIVth century. 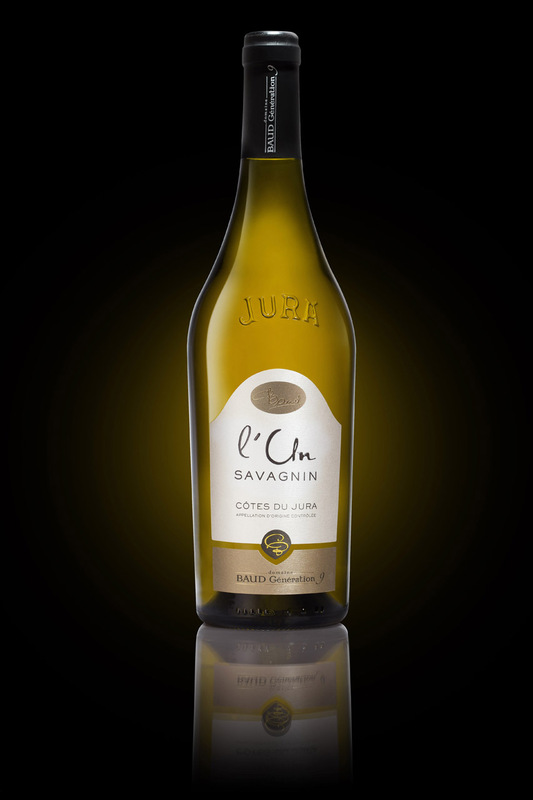 Its AOC Macvin du Jura was created in 1991. 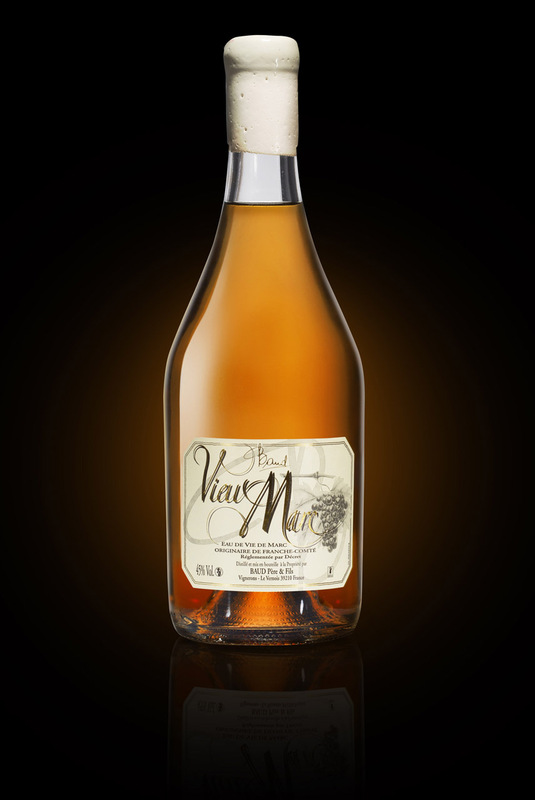 This is a liquor wine which is made of grape must blended with Vieux Marc of Jura. It is particularly appreciated by women because of its remarkable bouquet; Thanks to its velvet on the mouth, this wine was nicknamed « le galant » (the gallant) by the Duke Philip the Bold’s wife, Marguerite de Flandres. Our estate also exploits some orchards for alcohol production. The fruits are hand- picked at optimum maturity. These are sun-gorged and very flavourful. They are then stored in barrels, fermented and distilled. Our estate also exploits some orchards for alcohol production. The fruits are hand-picked at optuimm maturity. These are sun-gorged and very flavourful. They are then stored in barrels, fermented and distilled. La Fine (also called Eau de Vie de Vin) comes from the distillation of lees and wine that are systematically kept and stored all over the year. Marc is a spirit from Franche-Comté. 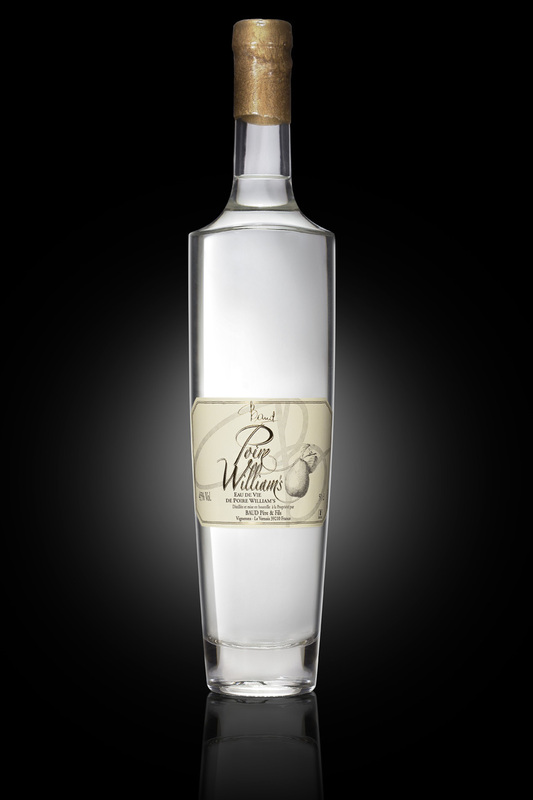 In our estate, we select all the grapes that have been pressed, to distill the stalks so as to obtain this spirit. This product that is mainly used to produce Macvin, is one of the most flavoured brandy.